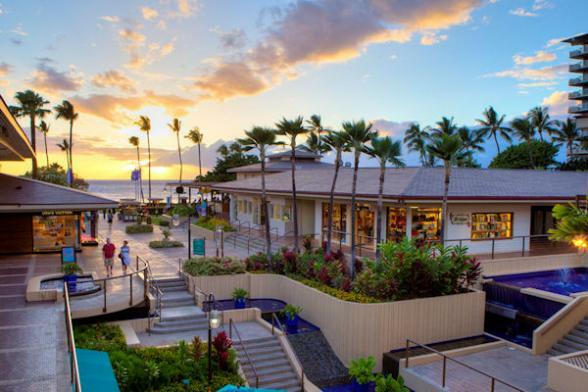 Located on a premier stretch of Kaanapali Beach this open-air shopping and entertainment centre is a vibrant collection of more than 90 shops, oceanfront restaurants and the finest whaling museum in the Pacific. 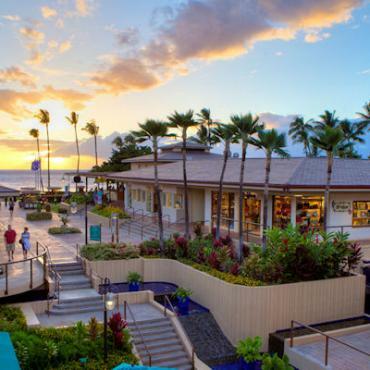 With the breathtaking backdrop of the lush West Maui Mountains, Whalers Village boasts panoramic views of the ocean and neighbouring islands of Lanai and Molokai. Every Monday, Wednesday and Saturday centre stage lights up with a Polynesian Hula show from 7pm – 8pm; lei making classes every Tuesday and Friday; Hawaiian Arts and Craft class every Monday and hula lessons take place every Wednesday and Thursday afternoon.